Superba Food + Bread's levain makes people smile. It begins at 2:30 a.m. daily. 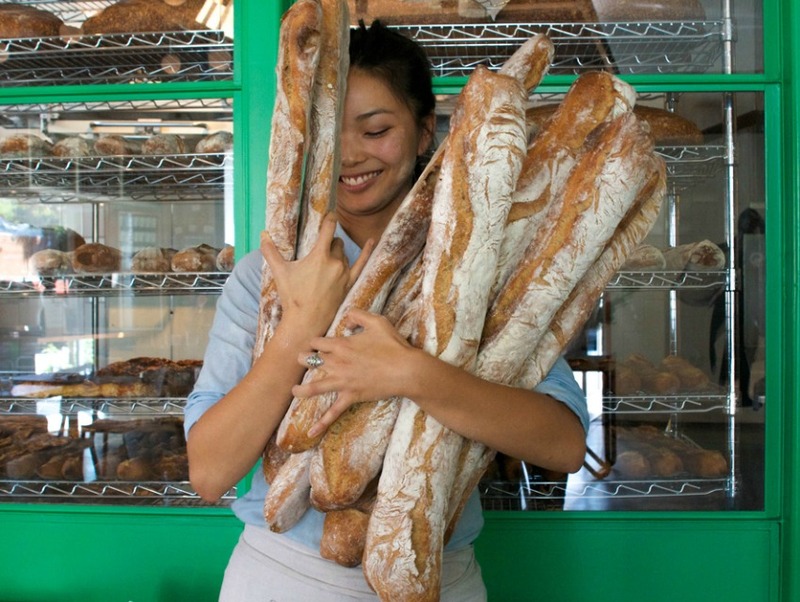 That’s when Superba Food + Bread baker Jonathan Eng starts making bread. Showing up for work that early isn’t uncommon for bakers, but what Eng creates is. He makes divine French levain, a mild sourdough with a crust to die for, and a perfect amount of chewiness seldom found on this continent. Superba, which opened in Venice last year, serves this bread with special seasonal house-made jam for a $4 breakfast treat. Yes, it’s bread and jam for $4, but that’s not so surprising in a city that’s no stranger to the artisanal toast trend. And Superba’s bread is only rising in prominence now that nearby Deus Ex Machina, the Venice emporium/cafe for both motorcycle dudes shopping for gear and anyone who wants a cup of Handsome Coffee, has started selling it. This isn’t a Harley-Davidson cafe, kids. Deus Ex Machina serves Superba’s levain in the form of two pieces of toast accompanied by butterballs ($4.50). Ordering this bread allows you to go wild with former indie-rock drummer Laura Ann Masura’s jams, like raspberry habanero, blueberry basil, strawberry vanilla, and peach vanilla Grand Marnier. 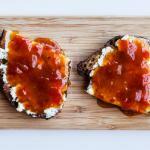 Put your choice of Laura Ann Masura’s jams on the toast at Deus Ex Machina. It’s all about the bread at Superba. Deus Ex Machina has joined a fancy-bread dance floor that goes far beyond Westside beach neighborhoods, of course. 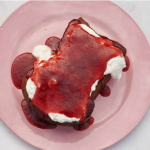 Jessica Koslow’s Eastside cafe Sqirl is well-known for slinging Proof Bakery brioche toasts ($4.50) with house ricotta and luscious jams–jams that are so popular they’re sold in retail shops. (I can’t wait to get my hands on my own plum jam.) On Beverly Boulevard in Fairfax, Stir Market has what might be many Southern Californians’ platonic ideal of avocado toast ($5.95). 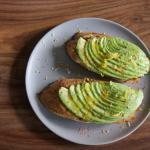 It’s hard to resist perfectly ripened avocados served neatly sliced on baguette bread with shavings of lemon zest and sea salt. 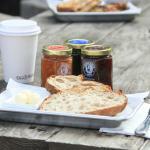 While it might seem like you’re spending a lot of bread just to buy bread at all these spots, there’s a cost that comes with local cafes being committed to local producers and using jams with organic fruit. For some fancy-toast purveyors, it’s not only about tasty bread. It’s about changing the way food is made.